When looking for products and materials to use around our children, especially in their schools and day-cares, we only source the safest products. If you are parents, like us, then you will understand that we will only use the most suitable, safe, high-quality grass products for our children’s needs. 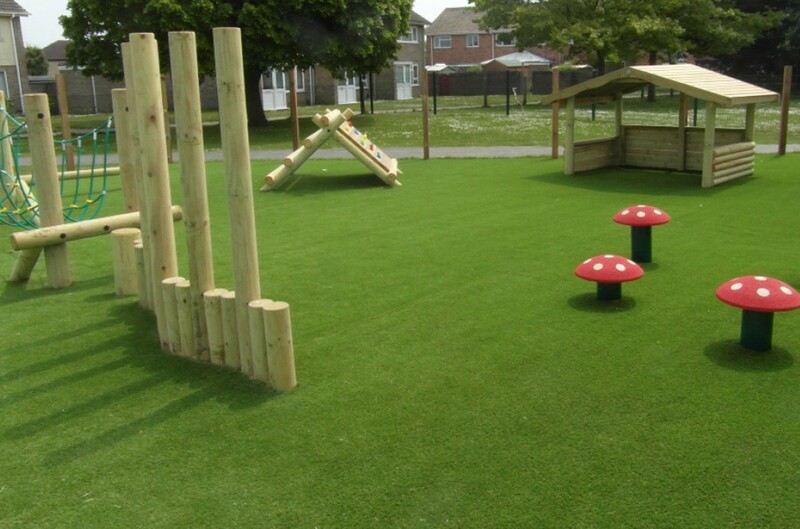 Synthetic grass can be used for play areas, sports fields, outdoor gyms, indoor play corners or reading nooks, outdoor tracks, as mats/rugs in a room for children to sit on, the list goes on… Wanting to try out other ideas, why not use synthetic grass furniture covers or over stairs so that their edges are not as sharp on little feet. To go for different looks and appeals, add stepping stones within the grassed area, or add coloured grass to create shapes within the lawn for the children to jump and play on. You could even cover the area in long stripes of different shades of the green lawn so that it has a unique look. Synthetic grass can also be dyed with white lines for sports games and play activities for the little ones. For example, hopscotch. Whether you have large expanses of lawn or just a tiny little corner on your property, add a touch of green and brighten it up with synthetic grass. No more fighting the weather to keep school fields green, ready and prepared for sporting events. No more water wastage trying to maintain the lawns at a daycare so that the children are not sitting around in sand and yellowing grass patches. Install your artificial grass today, and then the fun begins, add colours, add kiddie playthings (trampolines, slides, swings – all can be put on the grass without damaging it) and sit back and watch them enjoy it. Our kids love it, and so will yours!